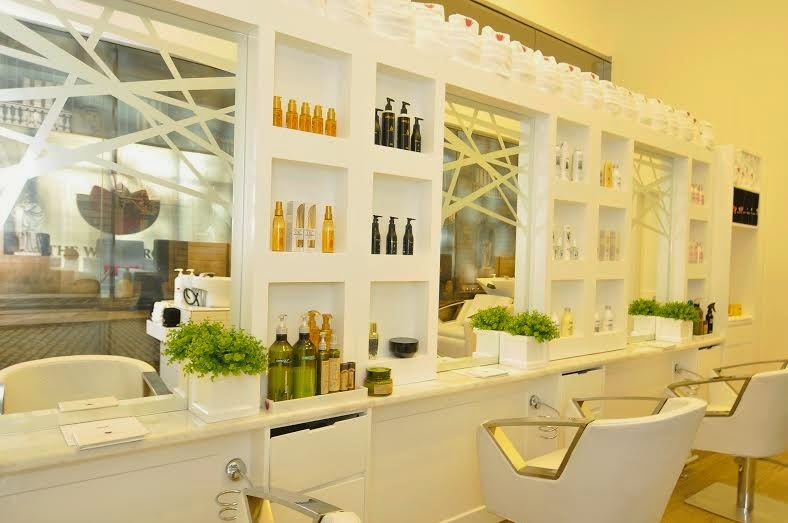 The White Room, the prestigious spa brand at the forefront of beauty, grooming and well-being, has opened its newest location at the Marina Mall, a lively destination for tourists from around the world, as well as the broader Marina community residents. The new location, their third in 3 years as they rapidly expand across the UAE, features a customised menu with a choice of affordable, quick beauty fixes, ranging from manis and pedis to express facials, and a speedy full service hair salon, all with the aim to meet the needs of travellers, and particularly professional women on-the-go, looking for a pick-me-up in an oasis of total relaxation and rejuvenation in the midst of a bustling city. The White Room is the quintessence of understated luxury.The all-white walls, elegant furnishings and décor ooze sophistication and create a truly calming environment: a real sanctuary of peace and quiet that refreshes the mind and soul, whilst relaxing the body and attending to all beauty needs.But what sets The White Room apart is its striving to achieve the best standards of care and individual attention giving each client an all -around pampering experience and the highest level of service, by providing their own professional beautician to look after their needs. Together with it's other two locations in Motor City and Jumeirah Lake Towers, The White Room offers it's clientele one of the most extensive spa menus, that combines nail care, hair styling and grooming services designed for the busy urbanites who need to be in tip-top condition; along with indulgent body treatments designed to nourish and relax the body, and a suite of customised facials: rejuvenating, anti-wrinkle, invigorating, detoxifying, and many more.